If you’re an avid golfing fan looking for an unusual and exciting vacation experience, Thailand is a great choice of destination. With 200 quality golf courses, many of them world class, dotted all over the country, Thailand is definitely golfer friendly. In fact, the naturally gracious Thai people in the “Land of a Thousand Smiles” are generally extremely welcoming and tourist friendly. What is more, their land is set in the most gorgeous natural surroundings, with dramatically beautiful landscapes and warm temperatures every month of the year. 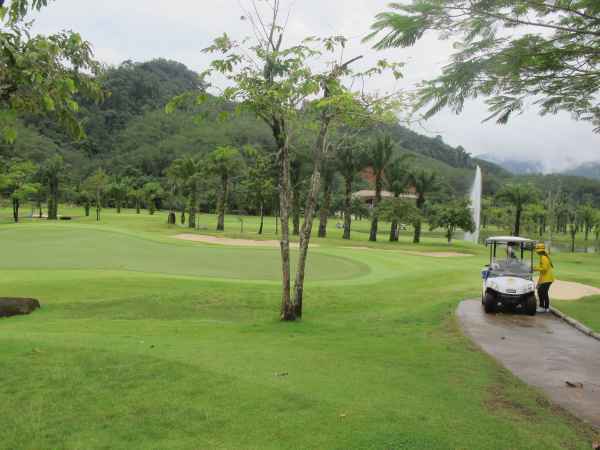 Prices in Thailand are quite reasonable on everything from hotel or bungalow accommodation to greens fees and caddying. All this adds up to a very attractive picture of Thailand as a vacation choice. For your convenience, you can book a golf vacation package before you even leave home that will include accommodation, meals, golfing, travel and whatever else you will need for a comfortable stay. Work with a good travel agent and perhaps do a little online research yourself to figure out just where you would like to stay and which golf courses you would like to visit. Then you can choose or even build a golf package that will be ideal for you. An important consideration is whether you will be traveling alone, with golf buddies, or with non-golfing friends or family members. If the latter, make sure that you discuss with them what their wishes and expectations are, so that you can include vacation activities that everyone will enjoy. It may be that your children and partner are also interested in golf. If so, great! A trip based on a shared interest is a great foundation for a vacation. Maybe they don’t know much about golf and have never swung a club. Don’t worry. Golf lessons are offered at many of the numerous courses. They even have classes for kids as young as six years old, and children are welcome on the course itself in Thailand – as long as they don’t disturb the other players and you have paid their green fee. In most golf clubhouses you can find gear to rent or purchase in a range of sizes. A number of country clubs in Thailand offer attractive accommodation on site, which is especially convenient if you are with children who don’t have the patience for long rides to and from the golf course. Here are a few of the best golf vacation destinations in Thailand. Bangkok is surrounded by a fine selection of great golf courses, and is close to the top notch Bangkok Golf Training Centre. The island of Phuket, quite possibly the most popular tourist area in Thailand, combines eight golf courses, stunning beaches and five star resorts. Hua Hin, one of Thailand’s oldest beach resorts, offers first class golfing and accommodation at some of the lowest prices in the country. Pattaya, a well known beach town on the Gulf of Thailand, has devoted strenuous efforts towards developing world class golfing and now boasts thirty (!) courses in its vicinity. The “Rose of the North,” located inland in northern Thailand, Chiang Mai features excellent courses amid the area’s lovely mountain scenery.